No internet has not been good for my blogging. I don't like posting from my phone but I am getting desperate! The last two weeks have been fairly busy with a trip to Idaho and school shopping. Idaho was fun. We stayed with my sister and law. I got in a couple great runs with some amazing views and so many more trees than I usually see! 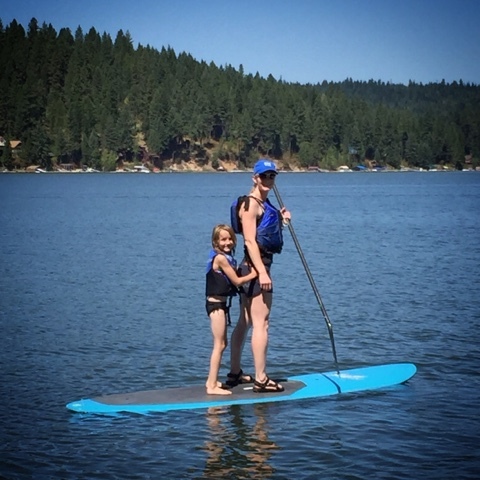 We spent a day at a lake and went stand up paddle boarding, kayaking, and did some boating. On the way home we blew out a tire about a half mile from a tire shop and I got new tires on my car! 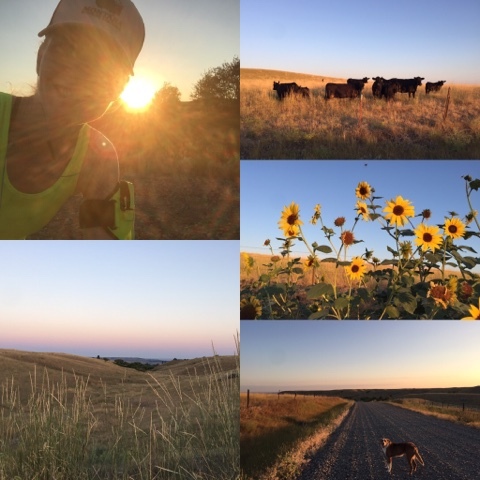 Running is going good, I got in a good long run this week and was loving being home in my wide open spaces! and did some speed work today. 5 weeks and 3 days until my next half marathon and I am looking at another half marathon in October! 5K On The Farm will take place on Saturday, September 12 at Bangs Family Farms, located about 20 miles north of Inverness, MT. There will be a timed 5K Run/Walk and a timed 1 mile run/walk. Packet pick up will begin at 9:30 a.m. and race events will begin at 10:30 a.m.
5K On The Farm is a unique race held on a northern Montana dryland farm and ranch. 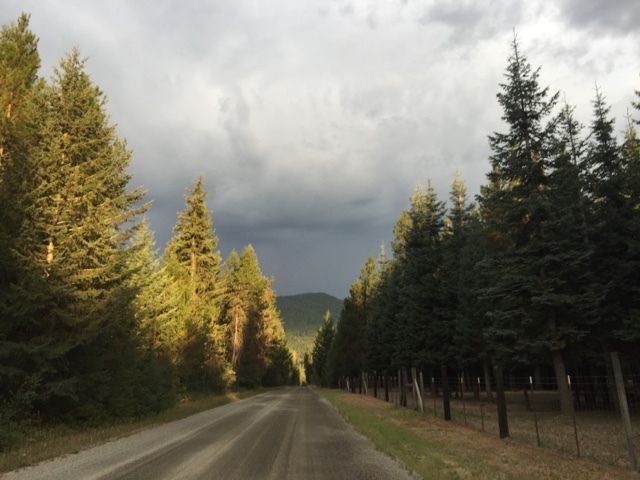 The course is run entirely on high-grade county maintained gravel roads at Bangs Family Farm and gives runners a view of farmland, ranch pastures, mountains, and prairies. Lunch will be served to race participants after the race, and all participants will receive a race t-shirt and goody bag. Race proceeds benefit education and leadership training for Women in Agriculture through Montana Farmers Union. Hopefully I will have internet again soon and can go back to blogging regularly and reading them too! Great job on the speed work! I am going to check out your race link. Nice run! My daughter lives in Rexburg, near Idaho Falls. I love Idaho! I was wondering what happened to you! Great job on your speedwork. I'm glad you're enjoying what's left of summer. Awesome photos, as always. 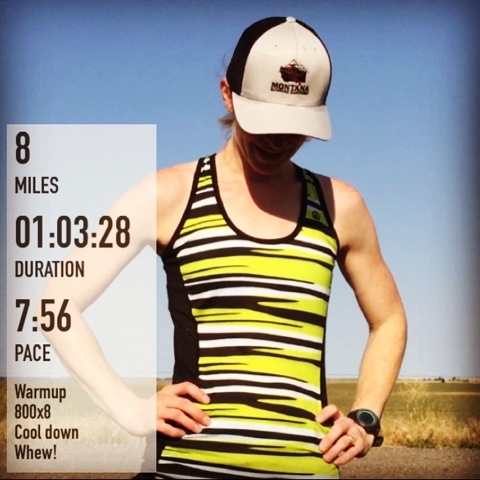 :) Thanks SO MUCH for posting about 5K On The Farm, and for signing up! Truly means a lot to me!!! You ROCK!! Fun to get away to do some shopping and run in different scenery but, yes, BIG SKY COUNTRY is so beautiful!